Pest Wildlife Control Little Rock, Arkansas! 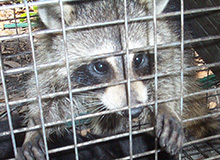 Call us now at 501-228-8910 for professional wildlife removal services in Little Rock, AR. We work 7 days a week - go ahead and call evenings and weekends! We carry liability insurance and all Arkansas licenses. Treating both wildlife and customers with courtesy and respect. Do you have a problem with scratching sounds in your attic? Digging in your yard? 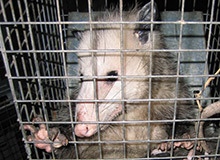 We humanely remove all pest animal species in Arkansas, and prevent them from returning! 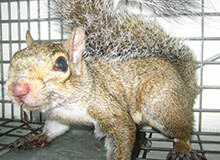 We commonly get calls here in Little Rock about squirrels, raccoons, rats/mice, skunks, snakes, and more. Our process is superior, because we address the root cause of the problem - we perform preventative repairs to your home and property to keep animals out for good. We use humane live-trapping and exclusion techniuqes, and never use poisons for rodent control or any other wildlife removal. 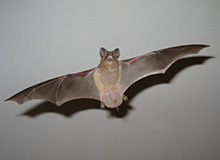 Our bat removal and bird prevention process is the best in Arkansas. We are fully licensed and insured, and answer our phones 24/7. Call us now at 501-228-8910 to describe your wildlife problem and get a free price quote. We look forward to hearing fromn you! 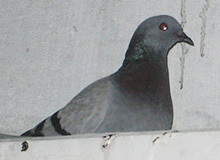 Superior wildlife control from attic to yard, start to finish. Humane treatment of animals and professional service for you. We are competitively priced, but for the value you get, we are the best. Not all companies are the same! 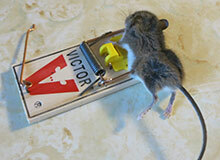 A pest control company will bill you monthly, for years, but never solve the problem. We solve your wildlife problem, permanently, the first time. No two jobs are exactly alike, so call us at 501-228-8910 for a price quote. Thank you for coming to my home on a Sunday to get the snake on my porch - I almost had a heart attack before you showed up! Pest Command Center solved a decades-old problem with bats in our building, after two other Arkansas companies failed - and at a price lower than the losers! Thank you! 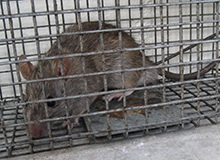 My regular pest control company couldn't get rid of my rat problem - Pest Command Center cleaned them out in five days! I've been rat-free ever since! 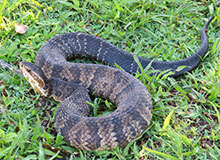 We pride ourselves on being Little Rock, Arkansas's best wildlife removal service. 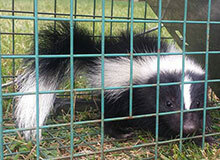 Our approach utilizes Integrated Pest Management, a strategy advocating prevention and humane methods.